Beautiful home with 3 bedrooms with HW floors. Updated kitchen with granite countertops and stainless steel appliances. Newer porcelain tile floors throughout first floor. Wood-burning fireplace in Living Room. Fenced-in yard and one, off-street parking space. James Buchanan El School Pre-School, Elementary School / Public 4 0.07 mi. Wheatland Middle School Middle School / Public 3 0.28 mi. Mccaskey Campus High School / Public 2 1.98 mi. New School of Lancaster * Pre-School, Elementary School, Middle School / Private N/A 0.27 mi. Sacred Heart School * Elementary School, Middle School / Private N/A 0.48 mi. Reynolds Middle School * Middle School / Public 4 0.57 mi. 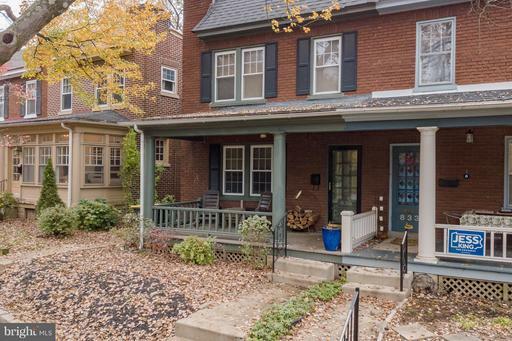 835 3rd St, Lancaster, PA 17603 is a 3 bedroom, 1 bath single family home was sold for $153,500 by Phyllis Rothweiler in the Lancaster real estate office.